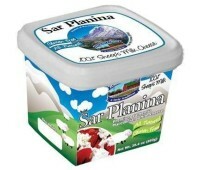 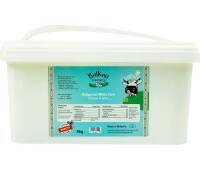 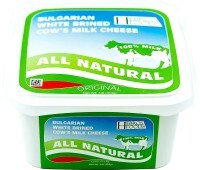 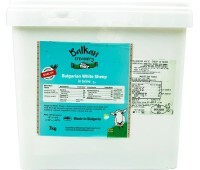 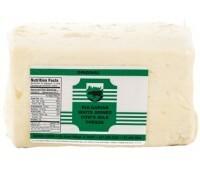 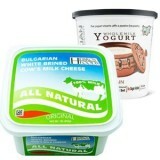 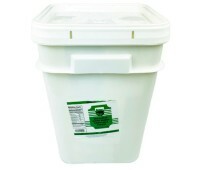 Cow cheese Balkan Creamery in brine 2 lbs / boxProduct of Bulgaria..
White cheese in brine, 26.45 lbs / tinProduct of Bulgaria..
Cow cheese Balkan Creamery 4kg in brineProduct of Bulgaria..
White cow cheese "Sirene" in brine, 453g in a plastic boxProduct of Bulgaria..
White Bulgarian cheese in brine.In a plastic box, 11.34 kgProduct of Bulgaria..
White cow cheese in brine. 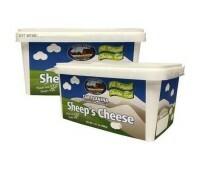 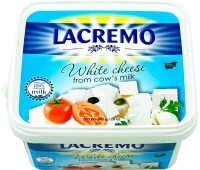 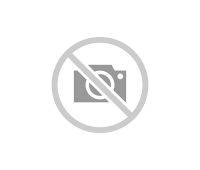 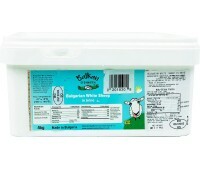 Plastic box 900g.Product of Bulgaria..
White cow cheese / vacuum packProduct of Bulgaria..
LaCremo - White Bulgarian cow cheese "Sirene", 800g/boxProduct of Bulgaria.. 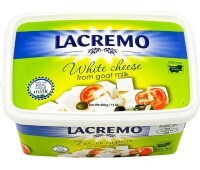 Goat Cheese LaCremo - Classic goats' milk feta crafted in the Bulgarian style.400g / 1.4oz in brineProduct of Bulgaria..
Bulgarian feta style cheese in brine - natural cheese made from sheep' milk.It has a creamy and tangy taste and can be used as a starter, as a side dish, as topping for pizza. 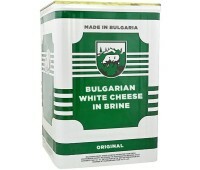 It can be crumb..
White cheese made from sheep' milk in brine12kg / 26.46lbs, tinProduct of Bulgaria..
White sheep cheese in brine.4kg / 8.8lbs in a plastic boxProduct of Bulgaria..
Bulgarian white cheese from sheep' milk in brine7kg / 15.43lbs in aplastic boxProduct of Bulgaria..
White Bulgarian feta style cheese (Sirene) from seep' milk in brine.800g in a plastic boxProduct of Bulgaria..
Bulgarian White Cow Cheese (Sirene) Golden Plate 800g tin.Ideal for direct consumption as a starter or as side dish or used in tomato cucumbers, green or mixed salad.Product of Bulgaria..
White cow cheese "Krave sirene" in brine 800g / boxProduct of Bulgaria..
White sheep cheese "Ovche sirene" in brine 800g / boxProduct of Bulgaria..
Chechil is a brine string cheese that originated in Armenia. 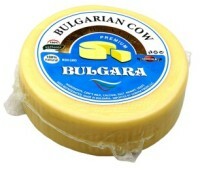 In Turkey, checil is called çeçil or tel peyniri, and is widely popular.It is very popular as a pairing to beer.Product of Bulgari.. 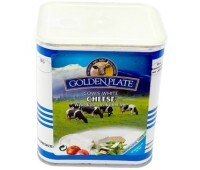 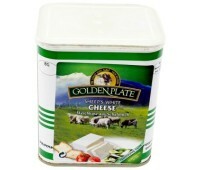 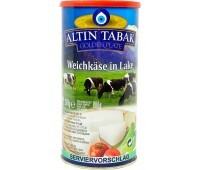 Try our delicious Kashkaval cheese made from cow's milk. 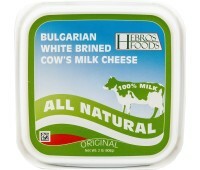 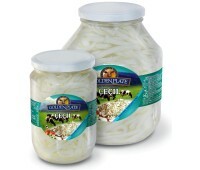 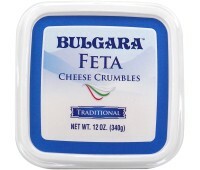 It can be served as a cheese platter or used in salads, appetizers, pizzas, and lasagna.Продуцт оф Булгариа..
Crumbled Bulgarian cow cheese 340gProduct of Bulgaria..
White sheep milk in brine.Product of Macedonia..
Halloumi is a popular cheese in the Middle East, as well as in Turkey, Greece, and Cyprus. 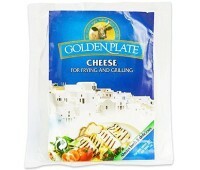 Halloumi or haloumi is a semi-hard, unripened, brined cheese. 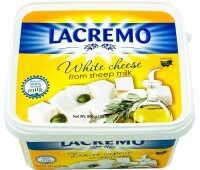 It is a delicious and uniquely good ch..
Labneh (Strained yogurt, Yogurt cheese) also known as labnah or labne is a thick yogurt much lower in fat than cheese yet with a distinctly smooth and creamy texture. 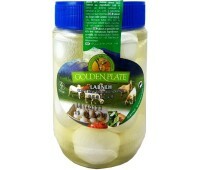 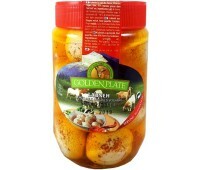 Our labneh form goat's m.. 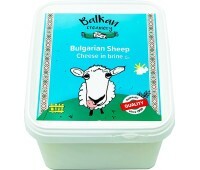 Goat's Milk Labneh (also pronounced as labaneh, lebnah or labne) is a cheese made from salted strained yogurt by draining its whey.Our labneh is offered in jar with ground red pepper for a sp..
White feta style cheese from sheep' milk.Product of Macedonia..
Bulgarian Kashkaval from sheep's milk - Kashkaval is a traditional food used in most of the breakfast pastry. 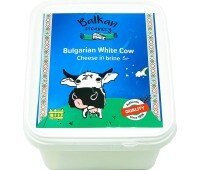 One of the most common dishes with kashkaval is kashkavalka which is a little pas..
Serdika BG offers to the American market a wide variety of Bulgarian cheeses, feta cheese, kashkaval and Bulgarian yogurt. 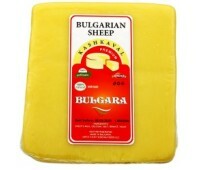 Calcium-rich sheep, cow and goat cheeses and yellow cheese called kashkaval are an indispensable and extremely delicious Bulgarian traditional food. 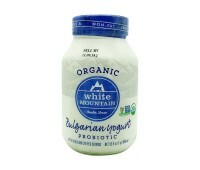 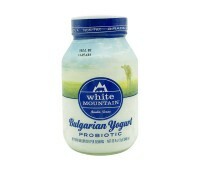 From the wide range of yogurts that we offer you: full-fat, skimmed, organic yogurt, made in an old Bulgarian tradition, you can enjoy its irresistible taste.